Yesterday I picked up a very sad 1977 Beta saloon with a 2L engine. Sort out high idle and running very rich. I am very certain apart from the oil leak on the cam housing. Will need to replace all those gaskets. I have a vacuum leak. I just wanted to do a sanity check on previous people messing with car. I just wanted to do a sanity check since i am worried someone swapped things. 5) I am very confused by that pipe, It looks like a vacuum hose? But it connects to a small T next to the crank case breather on air filter. When I close this pipe while idling idle drops A LOT. Before I remove intake manifold and cam gear for new gaskets I just wanted to make sure I understand. The red wire running to what i understand is the Fuel cutoff solenoid. should this be energized with ignition on even if motor is not running? 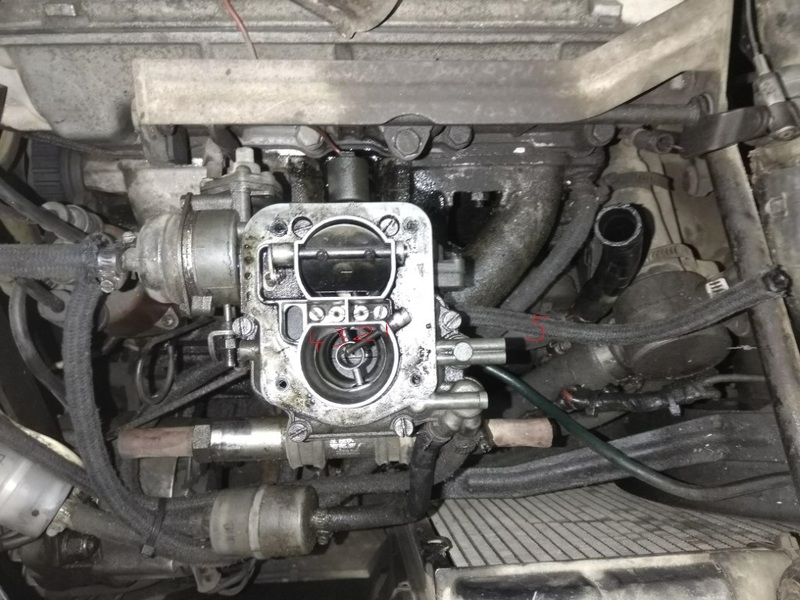 From what you described of that hose #5, it diverts crankcase vapors directly to the intake stream at the base of the carb, when the vacuum from that port is strong enough; otherwise at low port vacuum, vapors flow from the big hose into the air box at the top of the carb. The red wire to the fuel cutoff solenoid should be energized whenever the ignition key is on, regardless of whether the engine is running. It still confuses me how that pipe no 5 does not mess with idle mixture then? I suppose they simply factored it in with design. The idle mixture screw has half a turn between bottoming out and killing engine car idling at 2000RPM. But I am most likely chasing my tail and there must be a big vacuum leak somewhere.